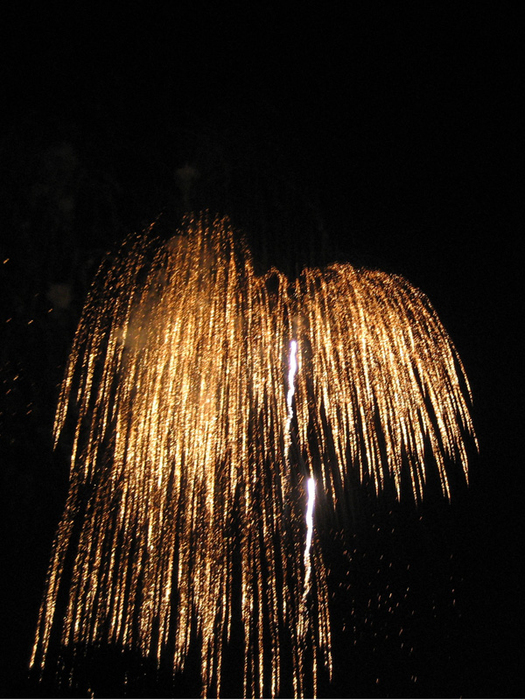 These fireworks were awesome, it looked like they created waterfalls of golden light in the sky. Some of the best fireworks that night, except for the finale. See image 9 for more comments. Image 4/9.